Economics of Strategy offers a comprehensive text that provides a link between economic theory and business applications that is at once technical in its approach and accessible due to its numerous examples and clear writing style. 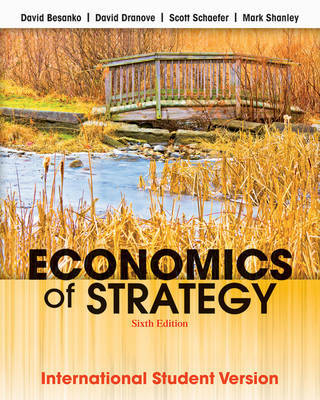 The sixth edition of Besanko's Economics of Strategy uses economic theory to bring new insights to popular topics in modern strategy. By presenting basic concepts of economic theory with ideas in modern strategy literature, this book provides readers with a logical framework for understanding the strategic activities within a firm.